Fire officials in Hampton, New Hampshire, are now saying a fire at a beachfront motel could be suspicious. 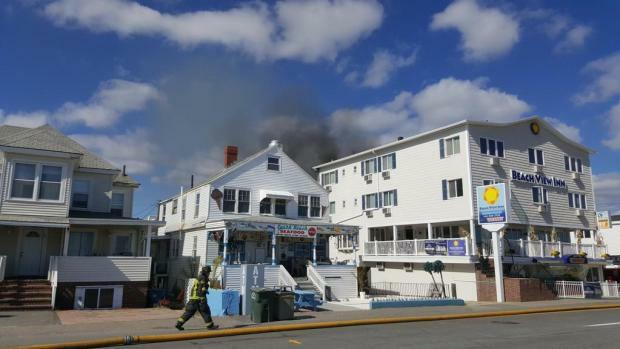 Flames broke out at the Beach View Inn around noon on Thursday. Officials say 17 people in the building escaped and no one was hurt. The property manager next door says he helped seven families out of his building out of fear the flames would jump. Hampton Falls, Portsmouth and North Hampton firefighters were also assisting at the scene. Aerial footage showed fire crews working on the top floor deck toward the rear of the building. Investigators say the cause is still under investigation.